Young woman in a white summer dress walking up on the side of a dune on a sunny afternoon. Abu Dhabi, UAE. 4k00:18Gobi Desert, aerial view of Khongoryn Els Sand Dunes in South Mongolia. hd00:19Two women walking on a sand dune during sunrise as viewed from a drone. 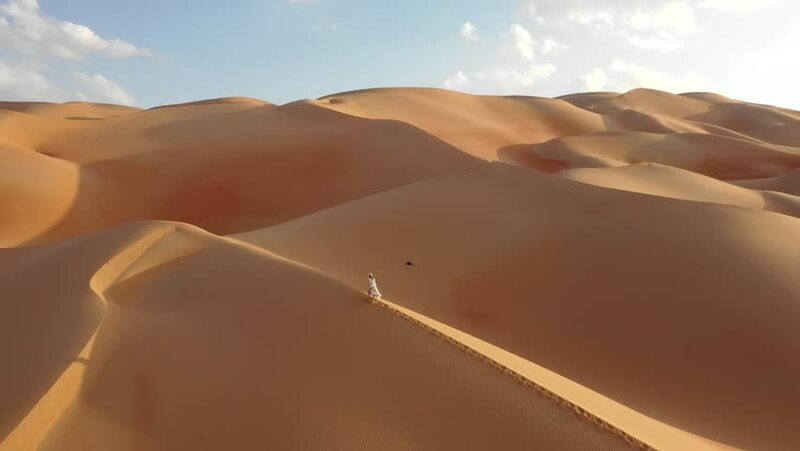 Liwa desert, United Arab Emirates.